In an ironic twist of fate the death of former British Prime Minister Margaret Thatcher comes on the same week as the 24th anniversary of Britain’s worst football disaster, the Hillsborough disaster. The Daily Mail claimed on Tuesday that football owed a debt of gratitude to the woman who “saved English football.” Wigan chairman Dave Whelan has backed the Daily Mail’s call for a minute’s silence before next weekend’s games, including before his club’s FA Cup semi-final against Millwall. However many football fans, including the Hillsborough families, have claimed a minute’s silence for the former Prime Minister would be insulting. The Iron Lady’s time in Downing Street coincided with one of the darkest periods in English football’s history. 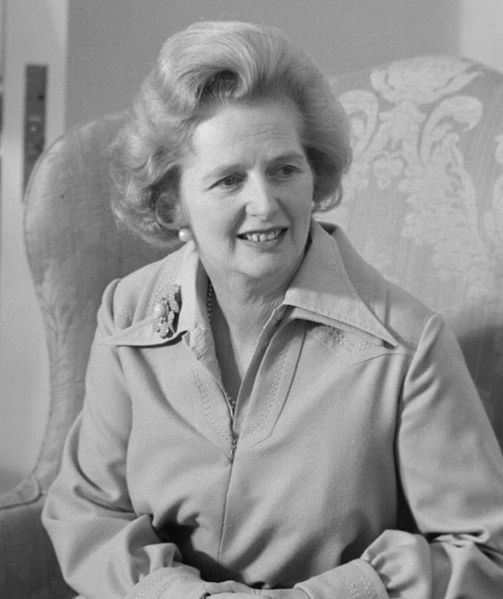 Thatcher took over as Prime Minister in 1979 shortly after Nottingham Forest had lifted their second successive European Cup and she was forced out of her job in 1990 a few months after the publication of the Taylor Report into the Hillsborough disaster. During her tenure English footballing success dried up on the field and chaos ensued off the field to the point where it endangered the sport’s future in England. When Thatcher took over from James Callaghan in May 1979 English clubs were outperforming the rest of Europe and celebrating unprecedented success. But under the surface football was losing its battle against hooliganism. As unemployment grew and the age of protest swept across Britain, young football supporters saw hooliganism as a way of venting frustrations and rebelling. Football violence had been growing throughout the 70s and by 1979 it had become highly problematic. Another problem was the deteriorating state of the country’s stadiums. Most football grounds had become outdated and inadequate for the problems of the late 70s and early 80s. Stadiums were crumbling, health and safety was non-existent and supporter safety was routinely jeopardised. In her early years in office Thatcher paid little attention to football, apart from when she considered a boycott of the 1982 World Cup due to the Falklands situation. She was not a football fan and had little time for the national sport, especially since the sport’s image at the time was appalling at home and abroad. But 1985 saw a change in approach by Thatcher and her government. On 11 May 1985 Bradford City were due to lift the Division Three trophy after their game against Lincoln City. Towards the end of the first half a discarded cigarette lit a pile of rubbish underneath the old wooden stand and the fire spread quickly. There were no fire extinguishers in the stand as the authorities believed they were likely to be used as weapons by hooligans. 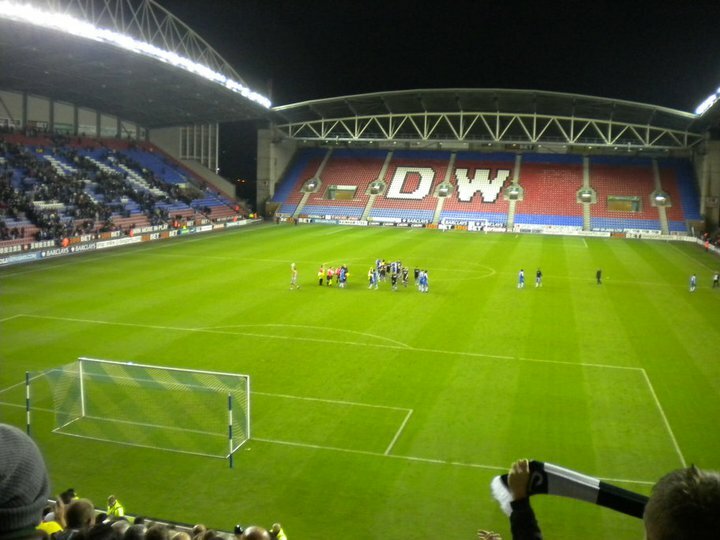 Many of the emergency exits had been locked as part of a Football League directive to prevent ticketless fans from sneaking into stadiums after kick-off. In total 56 fans died in the blaze. It highlighted the pressing need to update stadiums and make them safer for fans. Later that month the Heysel disaster further exemplified the problems surrounding English football. Liverpool were preparing to face Juventus in the European Cup final in Brussels’s Heysel Stadium. Before the game there was rioting which culminated with Liverpool fans chasing Juventus fans across a terrace. A crush ensued and a supporting wall collapsed, with 39 Italian supporters declared dead. English football’s reputation abroad was in tatters and there was condemnation across the continent. UEFA eventually banned all English clubs from participating in European competition, a move which Thatcher rightly agreed to. After six years of inaction Thatcher’s government made efforts to combat the problem of hooliganism, but still did nothing to improve fan safety. Thatcher routinely described football hooligans as “animals” but her attitudes and actions seem to suggest she thought the same of all football supporters. The proposed introduction of Football ID Cards was met with horror by lovers of the beautiful game, who saw them as an insult to decent, law-abiding fans. Attempts to ban away supporters from grounds also drew fierce opposition. Thatcher’s approach seemed to be to tar everybody with the same brush, and even considered erecting electric fences at the front of stands and terraces in order to keep fans off the pitch. But Thatcher, or more specifically her government’s connection to football will forever be remembered because of Hillsborough. On April 15 1989, 96 Liverpool fans were crushed to death on an overcrowded terrace during an FA Cup semi-final between their club an Nottingham Forest at Sheffield Wednesday’s Hillsborough stadium. The oldest victim was 67-year-old Gerard Bernard Patrick Baron, the youngest was 10-year-old John Paul Gilhooley (cousin of Liverpool captain Steven Gerrard) and 37 teenagers died at Hillsborough. The Taylor Report which followed the tragedy found the Lappings Lane end of the stadium had been woefully inadequate for such a high volume of fans. The report recommended wide-ranging changes to stadiums in Britain, including the eradication of terracing from top football grounds. While Thatcher and her government had focused attentions on combatting “the English disease” they had ignored the problems highlighted by the Valley Parade fire in 1985. No attempt had been made to improve stadium safety and the consequences were tragically felt at Hillsborough. The 2012 inquiry into Hillsborough also found Thatcher’s government had been instrumental in covering up the failures of the police at Hillsborough. While the report declared there was no evidence of Thatcher herself being involved in the cover-up, the Iron Lady had created the culture which made police cover-ups the norm during the 80s. The Prime Minister wholeheartedly backed the police despite constant corruption and outrageously heavy-handed tactics when dealing with strikers and protestors. This fuelled a culture of complacency among the police and meant the Hillsborough families had to wait 23 years for vindication and an official confirmation of the truth. Thatcher never pretended to like football and regularly showed distain towards the national sport. To her credit she took on hooligans head first in the aftermath of Heysel but she didn’t understand the sport or the people who followed football. She made the mistake of viewing all football fans as hooligans and couldn’t see beyond the violent minority. Just like the trade unions and the Argentinians she viewed football hooligans as the enemy, and was therefore determined to win at all costs. She failed to conquer hooliganism during her time in number 10 and her attitude towards football harmed the sport. The massive strides taken by English football at all levels since 1990 is astonishing considering the sorry state the game was in when Thatcher left Downing Street. The suggestion working class football fans should be asked to observe a minute’s silence for Margaret Thatcher this weekend is rich to say the least. She paid the game no respect at all and it’s very questionable whether football should pay any respect back. This entry was posted in FA Cup, Football, League 1, League 2, The Championship and tagged Bradford City, corruption, cover-up, Daily Mail, Dave Whelan, dead, death, disaster, European Cup, Falklands, fans, government, Heysel, Hillsborough, Liverpool, Margaret Thatcher, miners, Nottingham Forest, police, Protest, respect, silence, South Wales, Thatcher, Thatcher football, tragedy, UEFA, Valley Parade fire, working class, Yorkshire on April 10, 2013 by gutollewelyn.